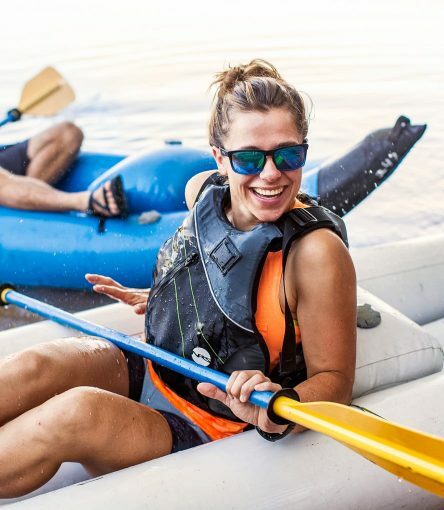 Join us for a relaxing inflatable kayak tour on Saguaro Lake, situated between the rugged Superstition Mountains and the towering Four Peaks. This scenic desert reservoir provides habitat for many important species of wildlife such as bald eagles, desert bighorn sheep, and numerous examples of reptiles and amphibians. This tour is suitable for all ages and ability levels. No previous experience is required. 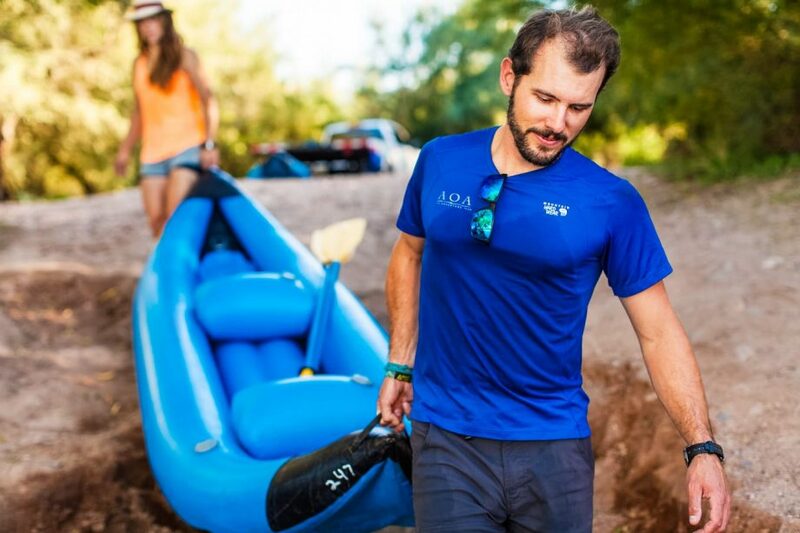 Pilot your own craft on one of AOA’s guided kayak tours on Saguaro Lake just outside Phoenix and Scottsdale. Our inflatable kayaks are stable and easy to maneuver, creating the perfect platform for splashing, relaxing, or wildlife viewing. The lake is an indispensable oasis in the vast Sonoran Desert, attracting a multitude of birds and wildlife. Kayaking in Arizona is a unique experience, we often see desert bighorn sheep and bald eagles during our tour! Take time to appreciate the surrounding mountain peaks, giant saguaro cactus, and flora found only in this ecosystem. Your guides are always available to teach you the natural history of the area and give you expert paddling instruction. 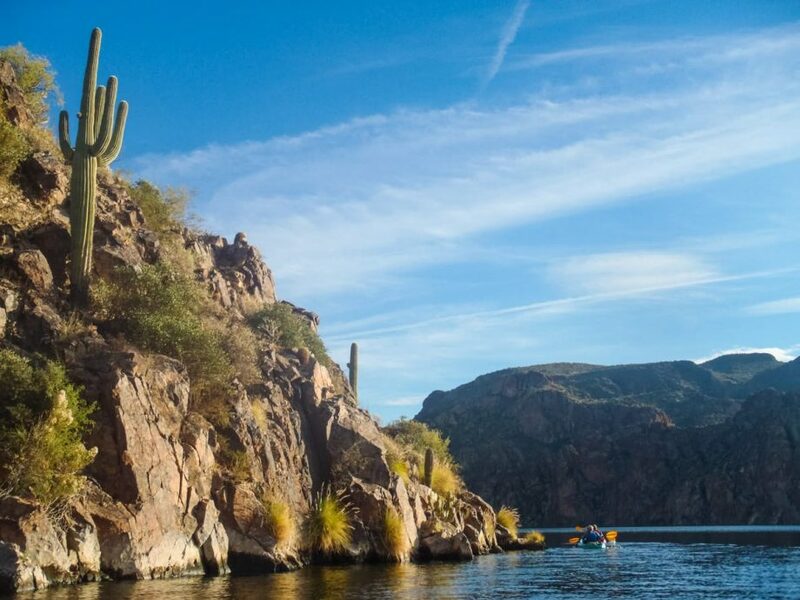 All of our regularly scheduled lake kayak tours take place on Saguaro Lake, but we can also operate tours on other lakes near Phoenix including Canyon Lake, Bartlett Lake, and Lake Pleasant. Water temperatures vary from the 60s in the winter to low 80s in the summer months. Swimming is possible year‐round but it can be a bracing in January! All tours depart from the AOA office in North Scottsdale and travel 35 minutes to our tour location at Saguaro Lake. If you are staying in the east valley, please call our office if you would like to meet at an alternate location of greater convenience.